The Obama Administration continues to struggle with questions of why it has blocked any investigation, let alone prosecution, of James Clapper (right), director of National Intelligence, who previously acknowledged lying before the Senate. Not only has Clapper not been fired, but Obama has asked him to help oversee the “reforms” of the very abusive program that he helped run and then lied about to Congress. 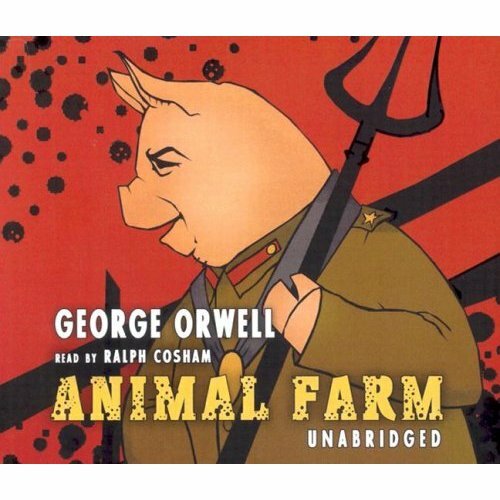 It is part of America’s Animal Farm where government officials can commit crimes with impunity while pursuing others like Snowden for arrest. 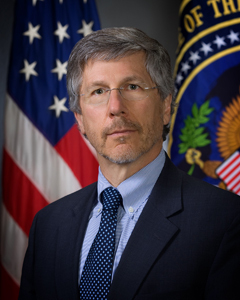 Yet, the questions persist about Clapper so the Administration sent forth National Intelligence general counsel Robert Litt (left), who promptly made it far worse. We now know that was a lie. Later, Clapper admitted to giving a false answer to Congress but explained that his testimony was “the least untruthful” statement he could make. Yet, of course, that would still make it an untrue statement — which most people call a lie and lawyers call perjury. Indeed, when Roger Clemens was prosecuted for untrue statements before Congress, he was not told of the option to tell the least untrue statement on steroid use. Now comes Litt, who ran a letter in the New York Times that falls into the category of a newspaper giving officials enough rope to hang themselves by. He insists that “[a]s a witness to the relevant events and a participant in them, I know that allegation is not true” that Clapper lied. He insists that Clapper misunderstood the question and then could not publicly correct his mistake “because the program involved was classified.” Really? Clapper later apologized and admitted that knowingly gave the “the least untruthful” statement that he could give. Moreover, Clapper did not respond for two days to congressional staff over his false statement as he looked for a way out of the controversy. Litt appears entirely comfortable with doublespeak that leaves readers scratching their heads. 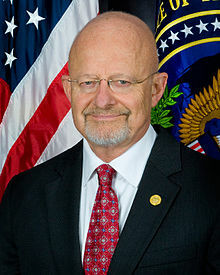 He portrays Clapper as a victim of Congress who virtually forced boss to lie: “This incident shows the difficulty of discussing classified information in an unclassified setting and the danger of inferring a person’s state of mind from extemporaneous answers given under pressure.” There is of course always that option of either telling the truth or simply refusing to answer or asking to go into closed session. However, what Clapper clearly wanted to bat down the controversy and assure the public that these rumors were baseless about a program that we now know exists. Litt gives an account that seems right out of Claude Rains in Casablanca: “When we pointed out Mr Clapper’s mistake to him, he was surprised and distressed.” That must have come as quite a surprise to Clapper who denied the existence of a program that he was quite familiar with before the United States Congress and the American people. If Clapper is so utterly clueless about what he says in major hearings, I am not sure how he can function as an intelligence official. None of his boss’s actual admissions seems to phase Litt who constructs an entirely new narrative where Clapper never realized that he had lied and was “shocked, shocked” when people later told him what he had said. The Administration seems to be moving in reverse in the five stages of Kübler-Ross. Having tried denial, bargaining and anger. They have decided to go back to denial. The ease shown by Litt in ignoring the actual statements of his boss is indicative of the utter contempt shown by this Administration for the intelligence of the American people. The Obama Administration seems to be continually trying various narratives to see if one would excuse its protection of Clapper in a clear violation of 18 U.S.C. 1001 as well as other criminal provisions in lying to Congress. PEOPLE NEED TO LEARN FROM ICELAND………. and eliminate pensions and healthcare benefits for all elected officials until all Americans and their jobs are providing these benefits like theirs. All electronic voting machines and vote counting machines need to be banned and ballots need to be hand counted with a day off every year given to everyone for elections and participating in government by voting and volunteering. Stopping corruption is the most important thing people need to do to take back their government from the criminals and their accomplices in positions of power who abuse the publics’ trust and undermine everyones’ constitutional rights, and prostitute themselves for the corporations and their own benefits over everyone elses. Thanks for your links on this and Iraq. Evidently, Obama feels strongly that his high paying donors; Boeing, Lockheed Martin, and various war/intelligence contractors deserve free reign in the world. The consequences of this “free” reign are horrific for actual people around the world. My friend Doug offered an excellent analysis of part of this coverage we may not be thinking about at first glance. Here is his analysis: “The Hellfire missile is manufactured by Lockheed Martin. Each missile costs $68,000. Lockheed Martin was one of the major contributors to Barack Obama’s presidential campaign. Lockheed Martin does not want to advertise this financial connection to the general public, so they make sure that their company name is left out of these stories. But they do want to advertise their product and announce that it will soon be demonstrated in battlefield conditions in Iraq. The brand name does this just fine. Thus, the governments that may be interested in purchasing these missiles are put on notice – and they do not need to be told that Lockheed Martin is the seller of these weapons. By the same token, major investors in the stock market also know that this is a product of Lockheed Martin – and they can make their financial decisions accordingly. Jiil: I am very confused about what Anon said and what you are saying. Can you please clarify that because there are lots of gaping holes in the post above which I want to understand better? FYI, companies like Lockheed and Boeing companies are public companies and they are obligated to disclose every penny they spend and on what especially when they are political contributions. This is one of the holes in your posts above. Anyone just owning one share of a public company can find out all about it if it is not disclosed to the public and if it is not, then one can find all the information via SEC. The truth will eventually see the light of day, no matter what they do to try to keep it hidden. NEWS we need to know! “The Justice Department filed a motion Wednesday that would prevent plaintiffs in one of the recent federal cases involving the National Security Agency from learning more about its surveillance activities. “Plaintiffs have made clear their intentions to seek discovery of this kind of still-classified information, concerning targets and subjects, participating providers, and other operational details of the challenged NSA intelligence programs,” the motion stated. Can anyone give me just one compelling reason for the American public to continue contributing to the tyranny that IS and has been the US Government for the last several decades? Americans have been lied to about everything under the sun, knowingly led into wars under false pretenses for the sake of controlling oil, providing profits to the industrial complex and the criminal bankers of the World and Empire building not to mention the US Government’s criminal involvement with Big Pharma and the agricultural monoliths such as Monsanto! If every Patriotic American would stop remitting taxes which are ONLY collected under threat of incarceration and/or violence, it may be the galvanizing movement that’s sorely needed in America. Civil Disobedience and refusal to comply with unjust laws is our absolute duty. No cogent argument can be made for the confiscation of Americans’ wealth especially given the fraud and waste and complete indifference to the Constitution. Pentagon missing 2.3 trillion, Federal Reserve missing 9 trillion, HUD missing 900 billion, trillions paid to the very same Wall Street firms that intentionally created the economic debacle and still continued today! The American public has been completely “HOOD WINKED” by the Government with the aid and abetting of the mainstream media both of which are controlled by Zionists. Where are the REAL men and REAL women of America? Bush, Cheney, et.al., need to be tried in America as the war criminals they are and for which crimes they’ve been duly found guilty of in a court of international law! Why has this story not been heavily covered by the lame stream media? Obama, Biden, Holder, Napolitano, Clapper, et. al., should be tried for war crimes (Obama and Biden at the minimum) and the rest for perjury and failure uphold their oath to defend the US Constitution. Various Supreme Court Justices who have aided and abetted the violations of Congress and the Executive office need to be tried accordingly. Of course, sitting Presidents and members of Congress are unwilling to bring the guilty to justice because 99% of them could also hang from the gallows if the truth be known! The unconstitutional Federal Reserve, which is neither Federal nor has any reserves and is guilty of pilfering and hijacking our monetary system, as well as having intentionally debased US currency so as to enrich the Ruling Elite, is a member of a a criminal, international cartel owned by the richest families on Earth and needs to be abolished now! ONLY then can the issuance of true money (gold/silver backed) be returned to “We The People” and thus, the elimination of a worthless fiat currency as well as the elimination of government’s ability to print money recklessly out of thin air! The system is far beyond repair, elections are rigged and we merely have a two-faced option of ONE party (Ruling Elite) so, heads they win, tails we lose! Agenda 21 and the hideous Core Curriculum being forced down our throats is all the evidence we need to understand the affairs of the State! The old adage of, “the fix ain’t no good unless you’re in on it” applies to the American public. We’re not members of the good ‘ol boys club! AWAKEN NOW AMERICA! TOMORROW’S TOO LATE! Most of you will continue to vote for people who are “Confused and Shocked” to rule over you. You’re getting what you deserve. Remember that penultimate scene from Gone With The Wind?